For many, next year is “Darwin year”. On the 12 of February 2009 is the celebration of the great naturalist`s 200th birthday and on the 24 of November 2009 is the celebration of 150 years from the publication of the Origin of species. This page will contain information about events dedicated to the aniversary year, news, specials and comments. Read Howard Hughes Medicine Institute’ s bulletin Still Learning from Darwin. Just to mention that Jack Szostak has won the Nobel Price in Medicine, another HHMI scientist that snatches a Nobel after last year’s Super Mario! Revista Cultura – 4 articole dedicate anului Darwin. Michael Shermer la Cluj-Napoca si Bucuresti cu ocazia “anului Darwin”. New CMI web site at http://creation.com/. Also, on their first page you can see a trailer to their forthcoming Darwin documentary. 200 years after the birth of Charles Darwin, his theory of evolution still clashes with the creationist beliefs of some organized religions. For him personally, it meant the end of his belief in creation by God. Read the whole article on SciAm. Darwin’s ideas have stood the test of time. Darwin is still quite controversial. TIMES online: Vatican buries the hatchet with Darwin. Si totusi cine a fost Charles Darwin? Evolutia a murit! Ba nu, evolutia este in actiune! Charles Darwin and the Modern Mind on AlbertMohler.com – a series of writings and radio programs all related to Darwin or Darwinian evolution. AiG: Darwin, Design, and the Brain. Read Smithsonian`s extensive article on what Darwin did not know. Photos of Darwin included. Smithsonian is the institute presented in Ben Stein`s Expelled movie as being against freedom in science. 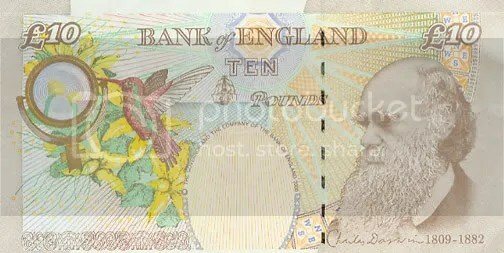 BBC News: Russel Alfred Wallace is not being forgotten in Darwin`s year: he is celebrated also. Wallace is the one who proposed the evolution theory before Darwin. BBC Darwin page here. Must see! Creation Ministries International: Darwin sneak peak. New Scientist: the “wrong” tree of life from Darwin. CMI has noticed the 2009 world-wide celebration for Darwin. They identify it as a global campaign against God. Science Magazine has launched a blog dedicated to Darwin’s bicentenary. You can visit Originis, a history of beginning and read “about the origin of species but also about key nodes throughout the evolution of life”. AiG marks the “Year of Darwin“. See the “creationist” perspectives on Darwin`s year at this place on the AiG site. Get resources from Answers Magazine. Book in Romanian translated at Curtea Veche publisher: Darwin’s Gift to Science and Religion. New Scientist has made a top 10 articles in favor of evolution. Read Darwin`s dangerous idea. See what is the God of the gaps in Darwin`s theory, according to AiG. Answers In Genesis has scheduled two events during February 2009, under the title Answers for Darwin: (1) at the original Calvary Chapel church in California February 6–7, on the West Coast, and (2) at Thomas Road Baptist Church in Lynchburg, Virginia, February 15–17, on the East Coast. A third event will be held in July 20–24 at Lakeside Christian Church in northern Kentucky as the “Creation College”. Read Scientific American`s in depth article about Darwin`s legacy – the evolution theory. Roger Sanders at AiG prepared a very beautiful piece of work on Galapagos. Learn about what did Darwin find there and what would the creationist perspective be. Very nice photos. Read the first chapter of Ken Ham`s book, Darwin`s plantation. Discover the origin of people groups (there are no “races”) and learn about the link between the theory of evolution and the racist ideology. The Clergy Letter Project is an “endeavor for demonstrating that religion and science are compatible”. This theistic evolution movement is organizing the Evolution Weekend on 13 -15 February 2009 in which already 619 congregations will take part. magnifying glass and a hummingbird. See below. Ken Ham says that “Ideas are like seeds, small and yet incalculably powerful”. Read more in Darwin`s plantation. National Geographic presents Darwin`s great-great-grandson visit to Rio de Janeiro on the same route that Charles Darwin went in 1932. Darwin`s anti-slavery views are mentioned. Roger Sanders presents Charles Darwin`s struggle with the problem of evil and suffering in the world, after loosing his beloved daughter Annie, aged ten. Read Jonathan Sarfati`s article on the Darwin – Hitler connection. 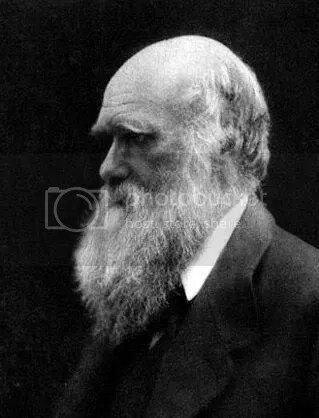 England`s Natural History Museum from London has launched a programme for celebrating Darwin`s ideas, part of that beeing the DARWIN200 website: Celebrating Charles Darwin`s Bicentenary. One of the two most important scientific publication – Nature, is issuing a Darwin 200 News special “updated news, research and analysis on Darwin’s life, his science and his legacy”. It can be visited here. 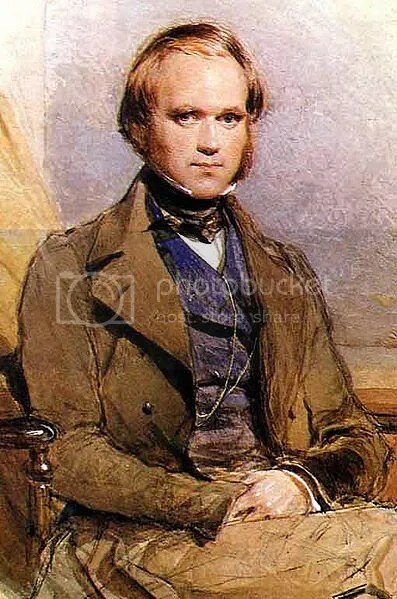 Answers in Genesis` (AiG) scientific journal – Answers, is scheduling for the next edition an article on Charles Darwin`s life: The pursuit of Darwin.